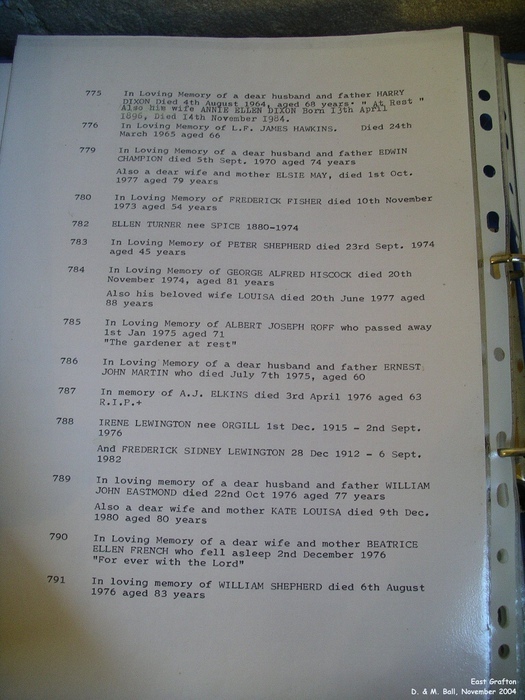 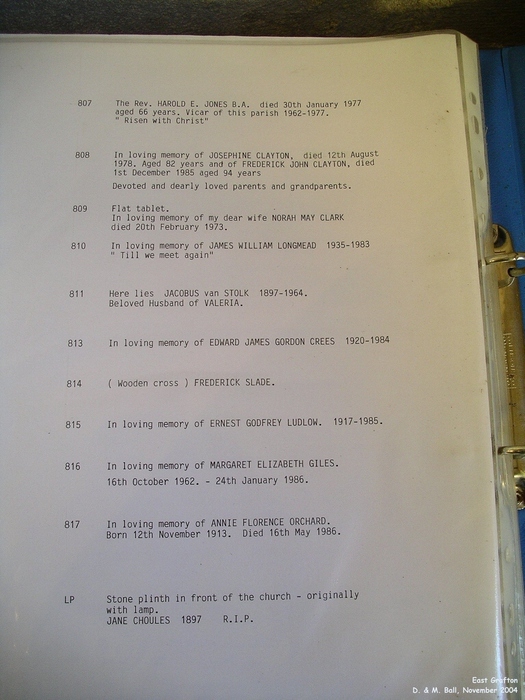 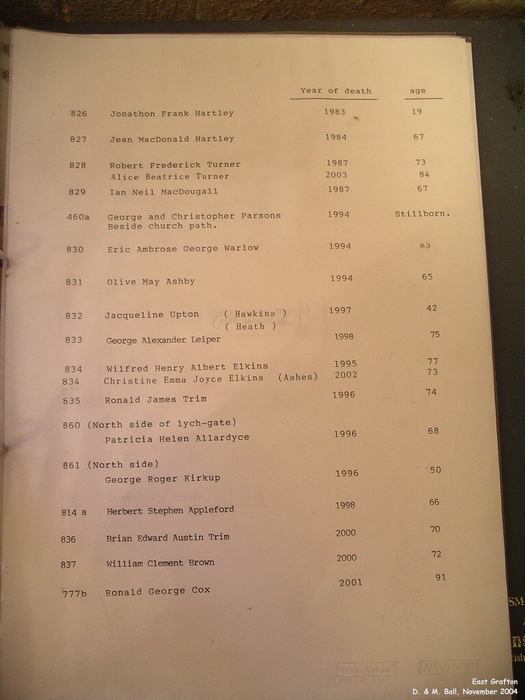 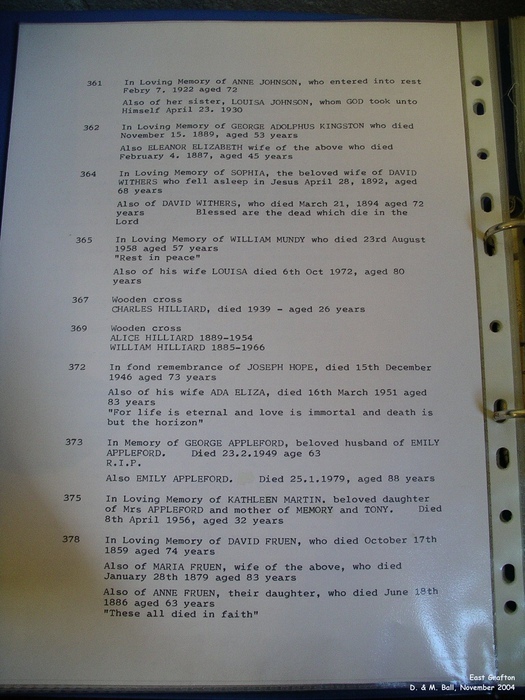 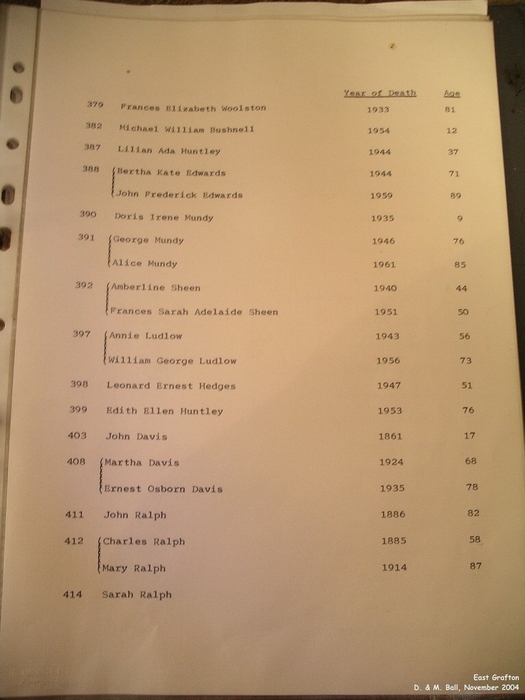 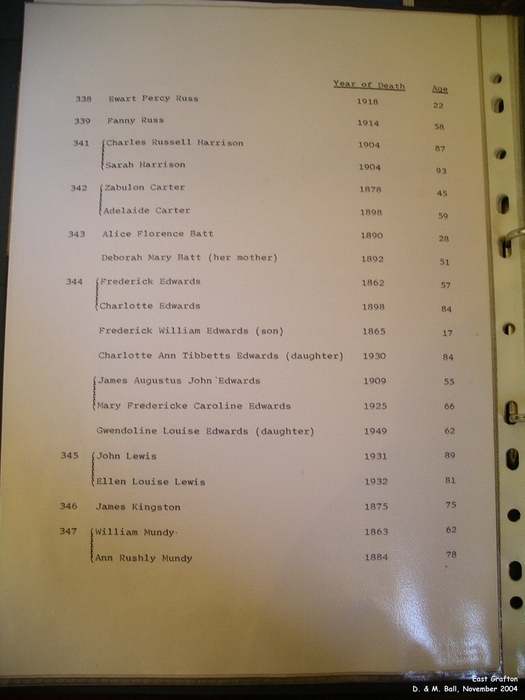 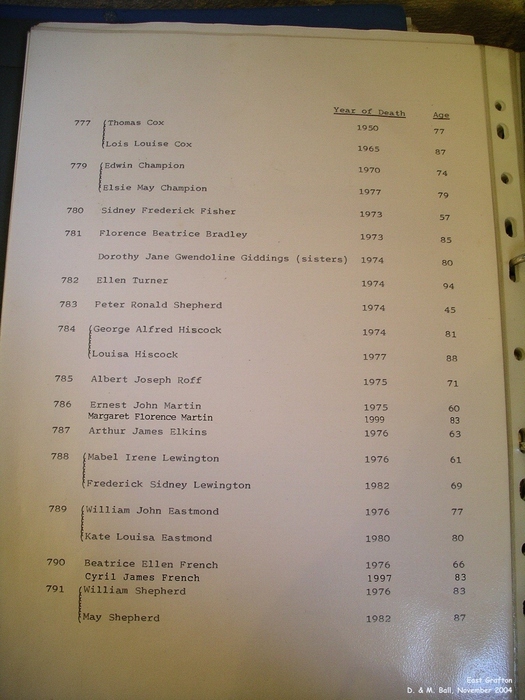 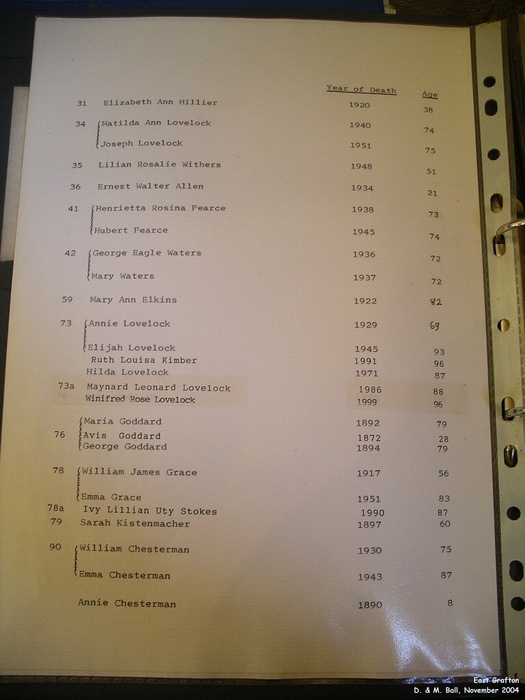 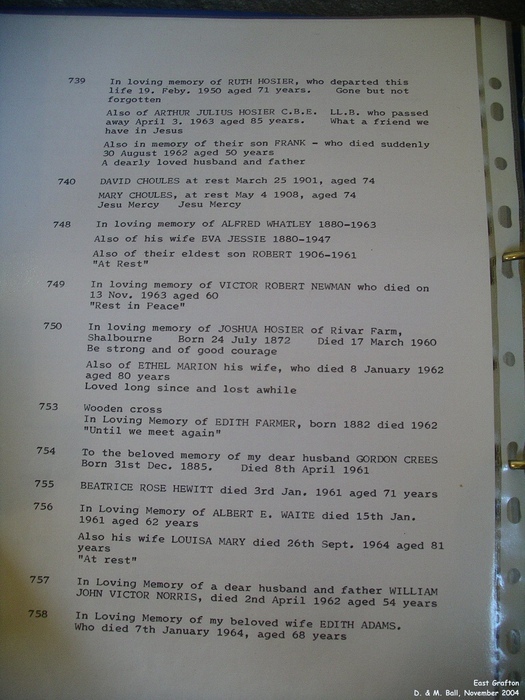 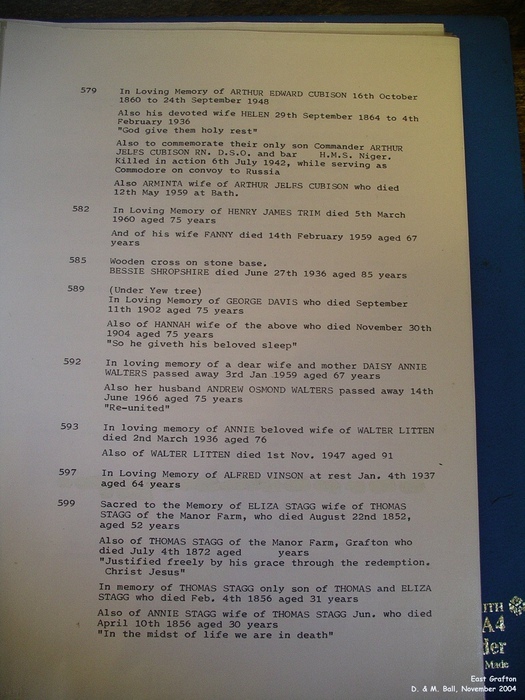 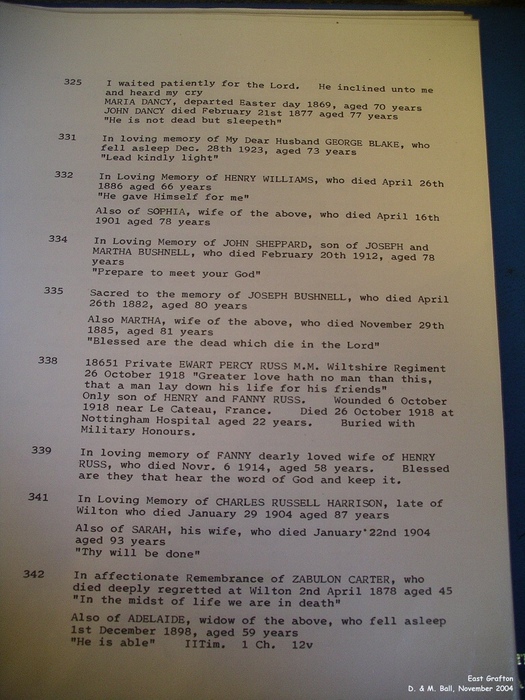 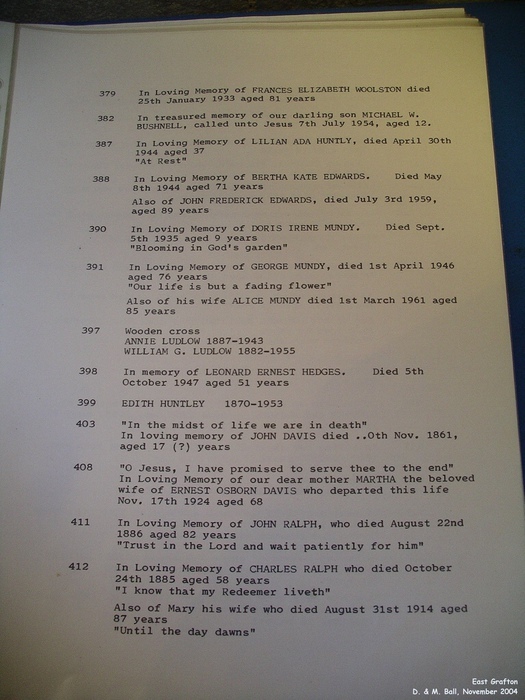 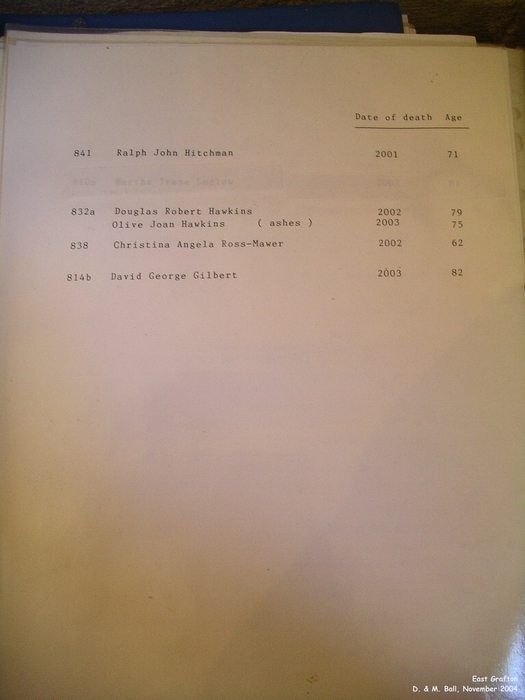 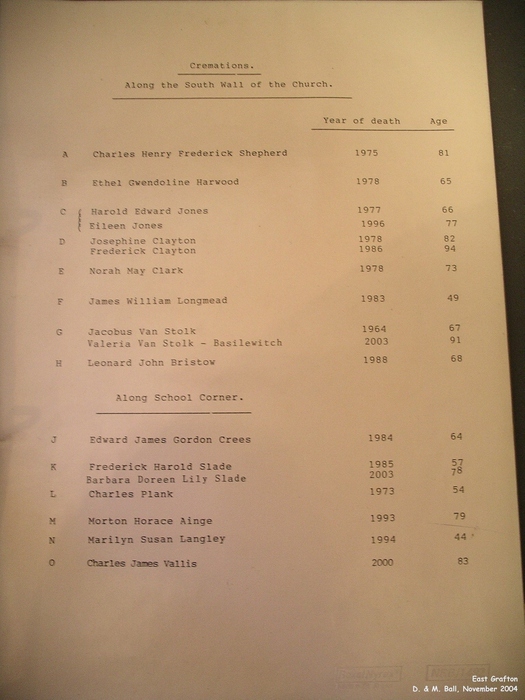 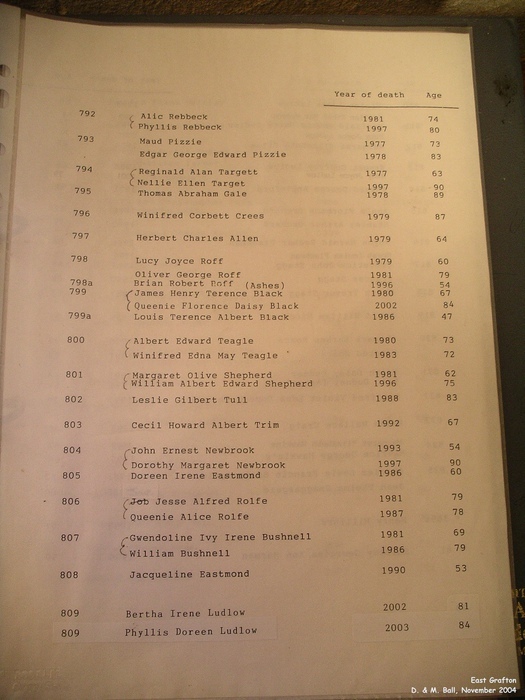 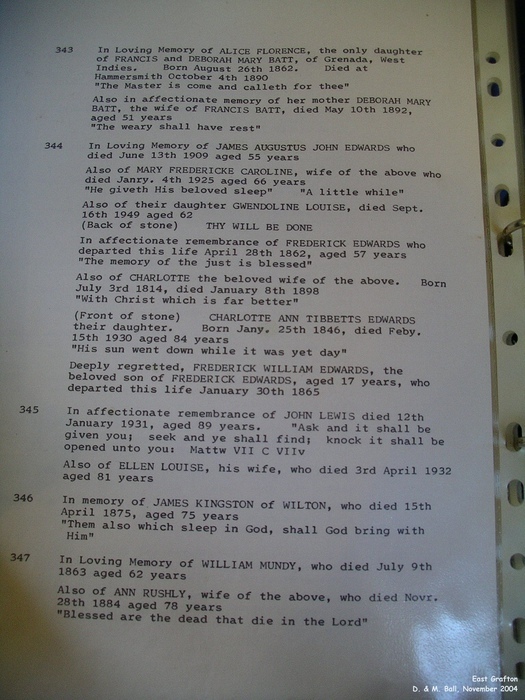 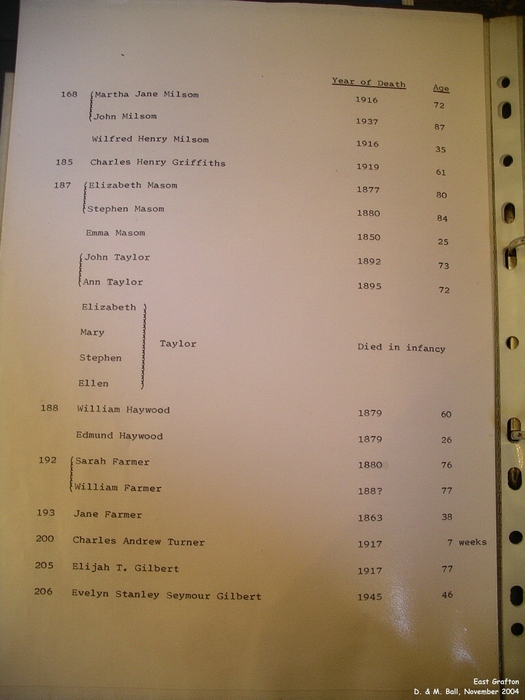 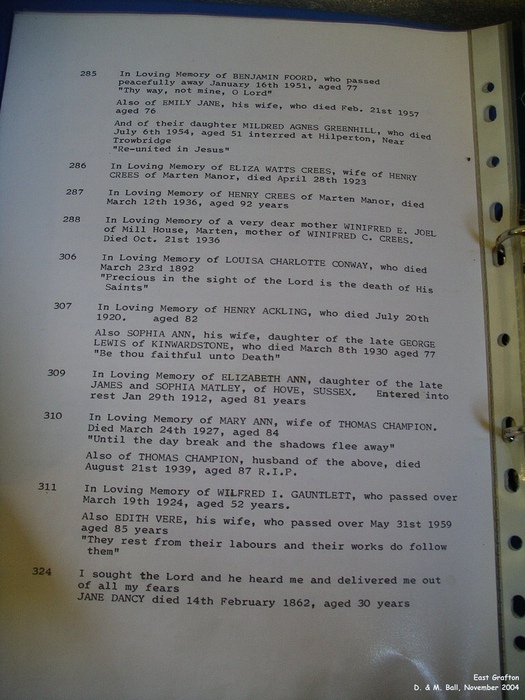 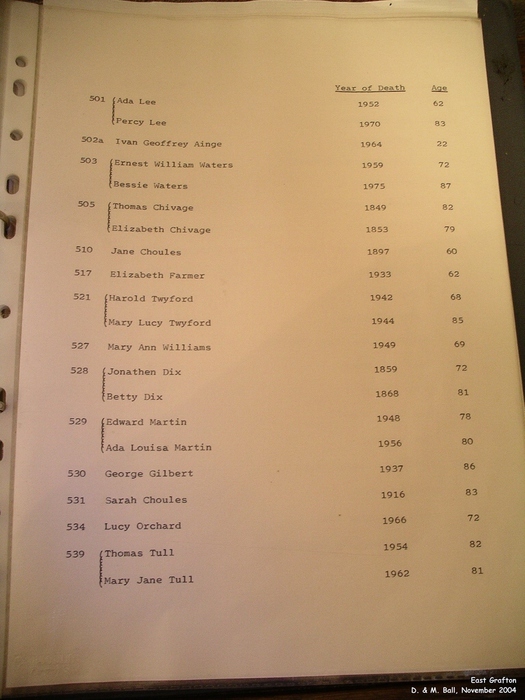 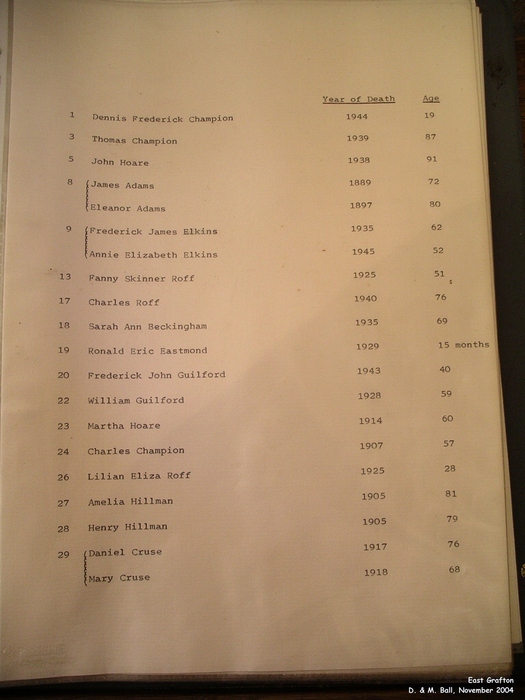 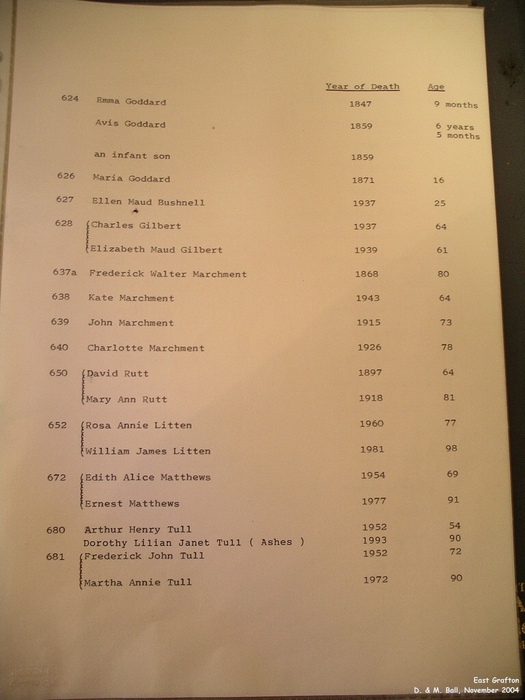 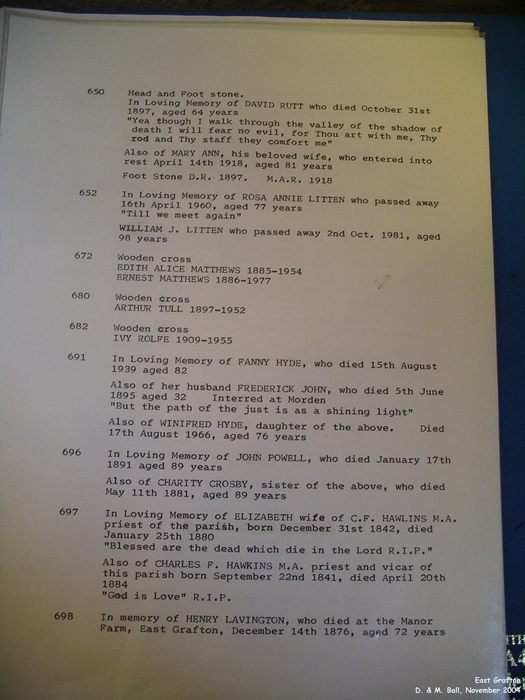 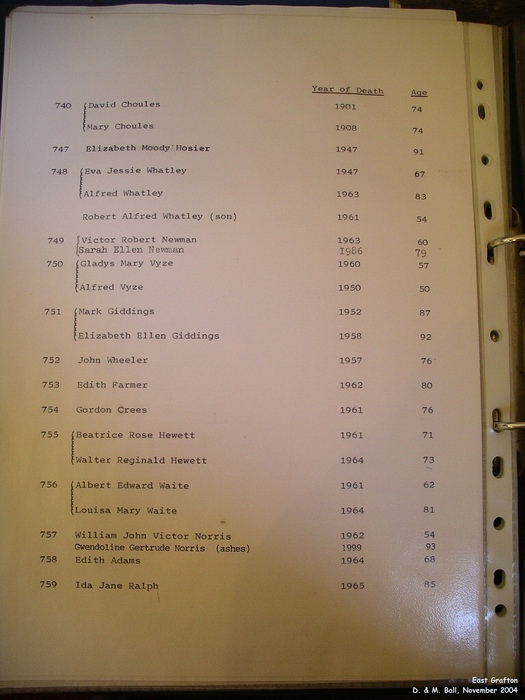 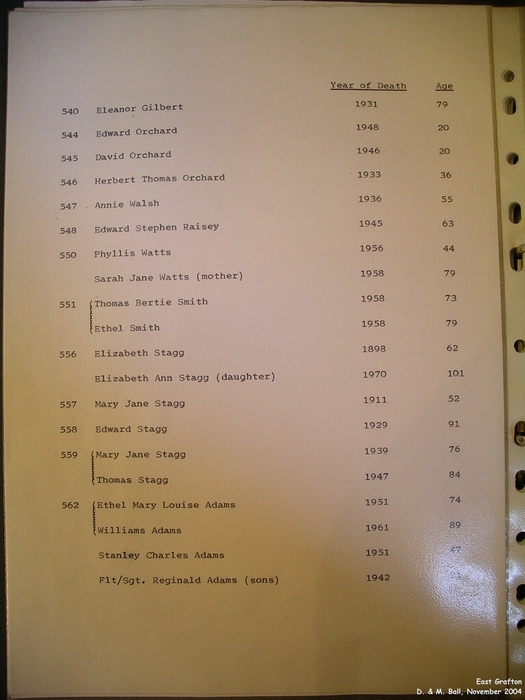 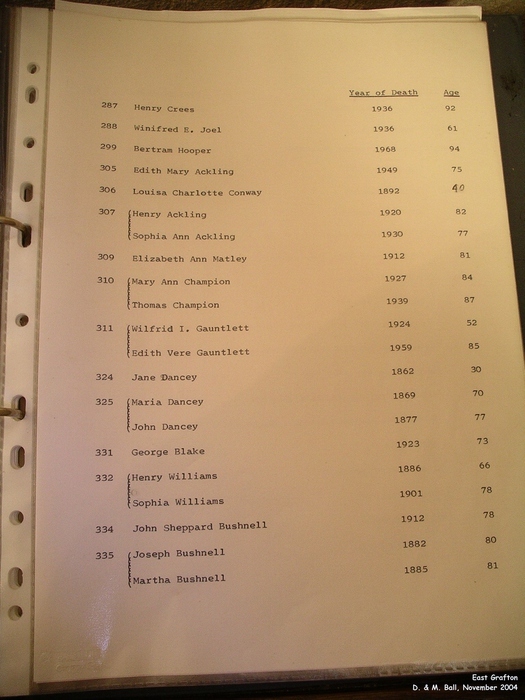 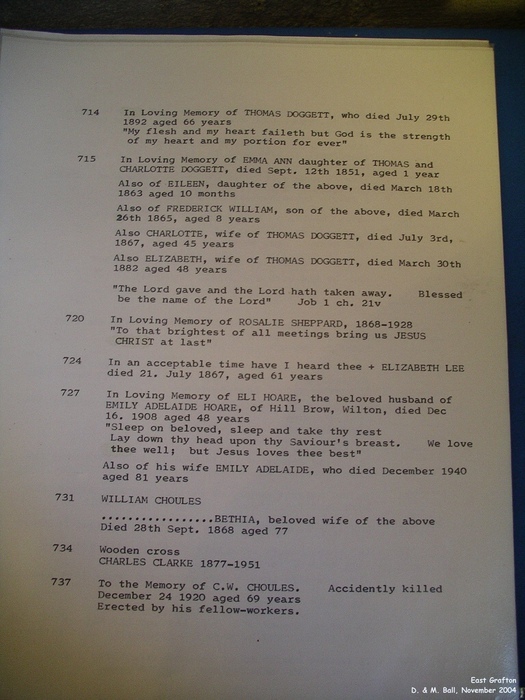 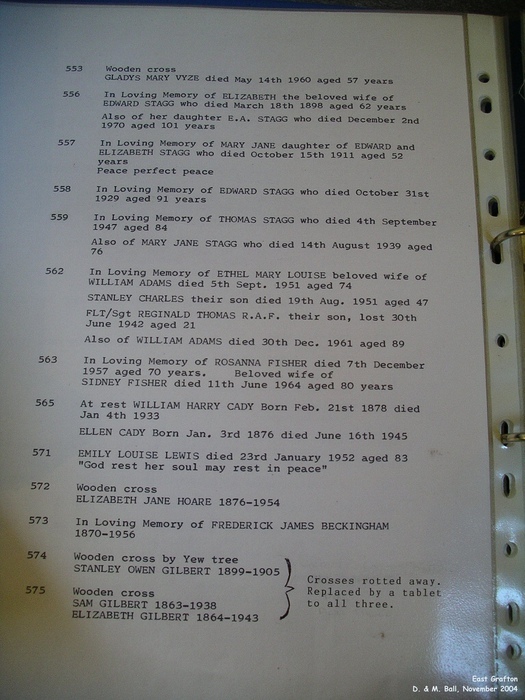 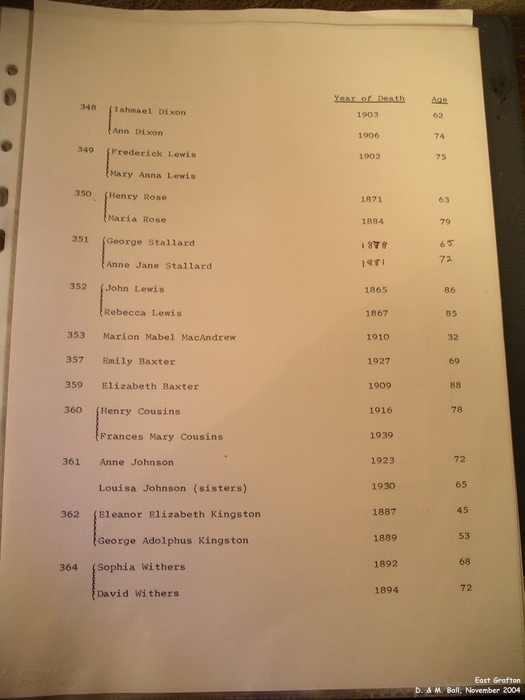 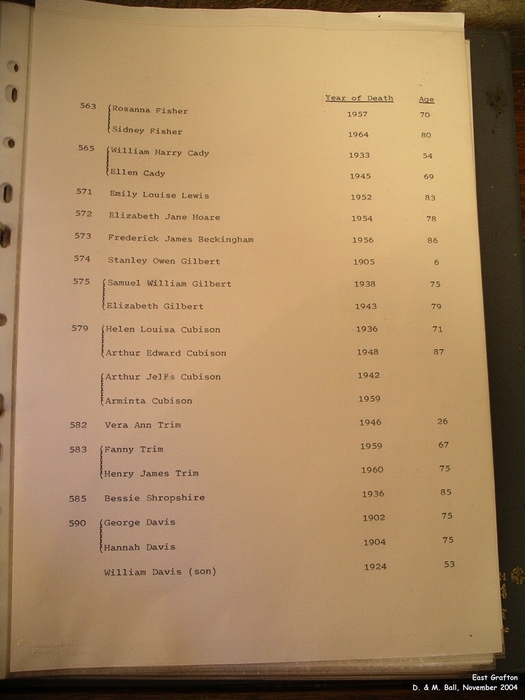 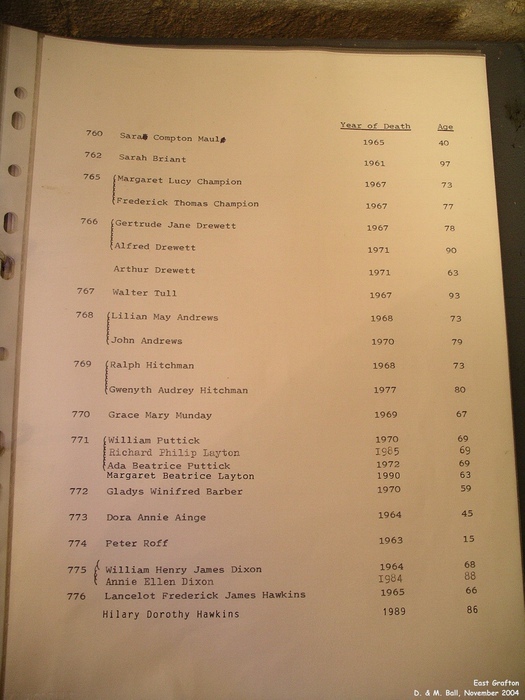 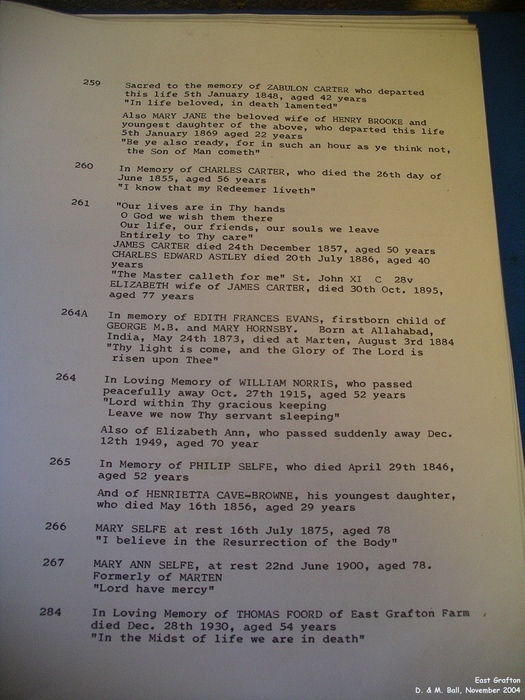 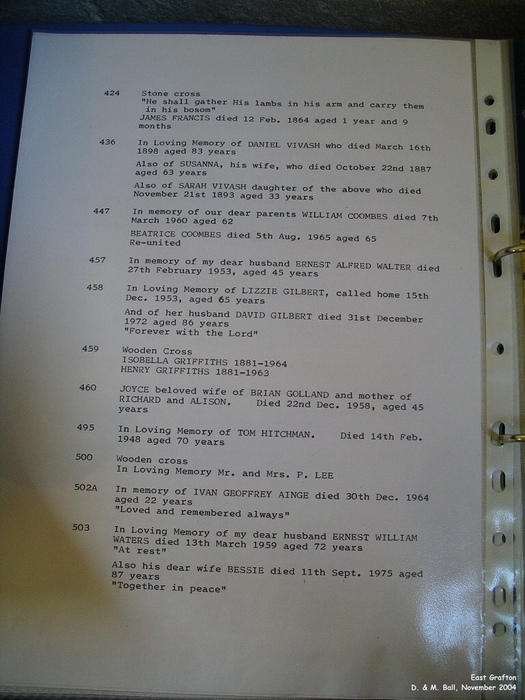 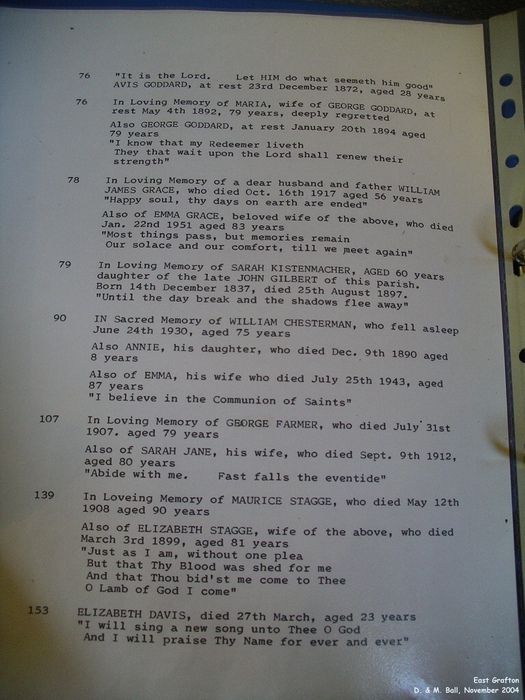 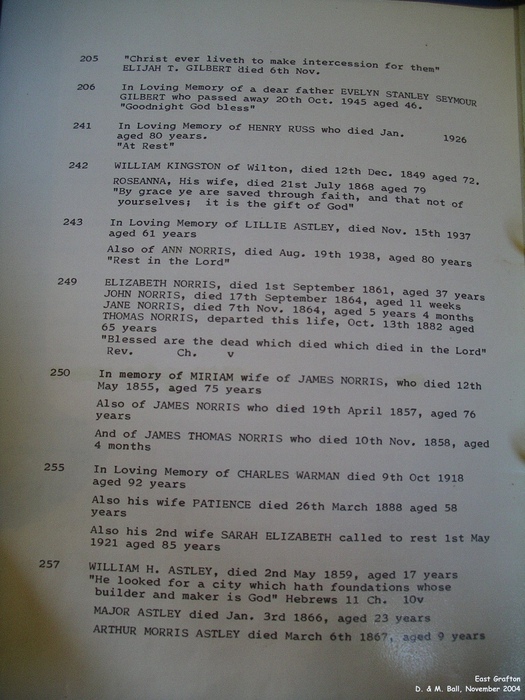 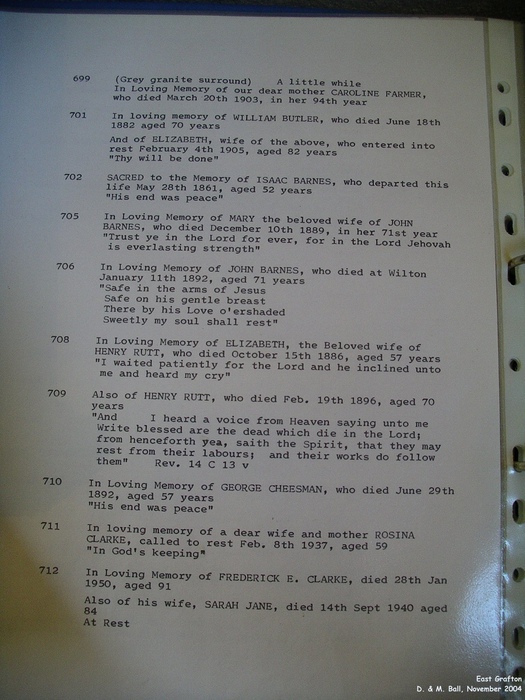 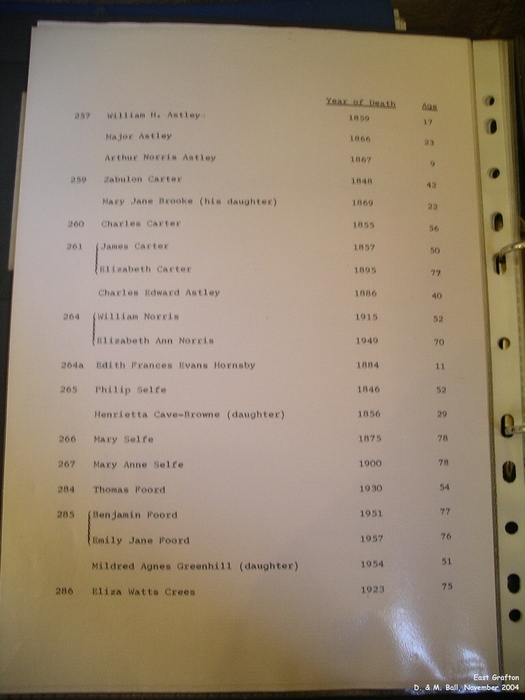 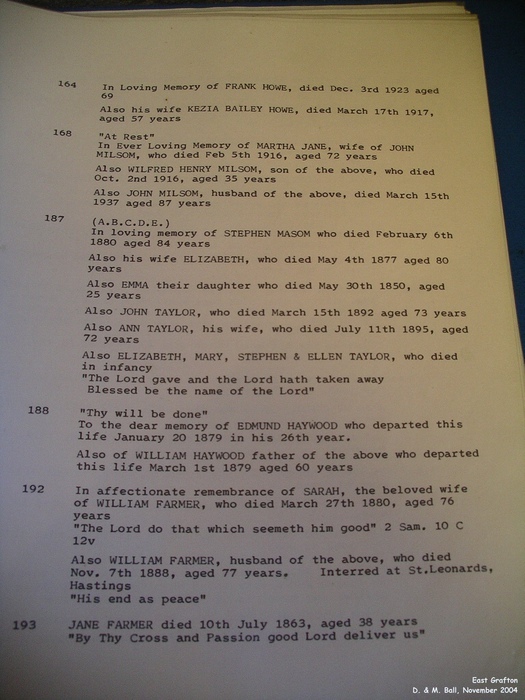 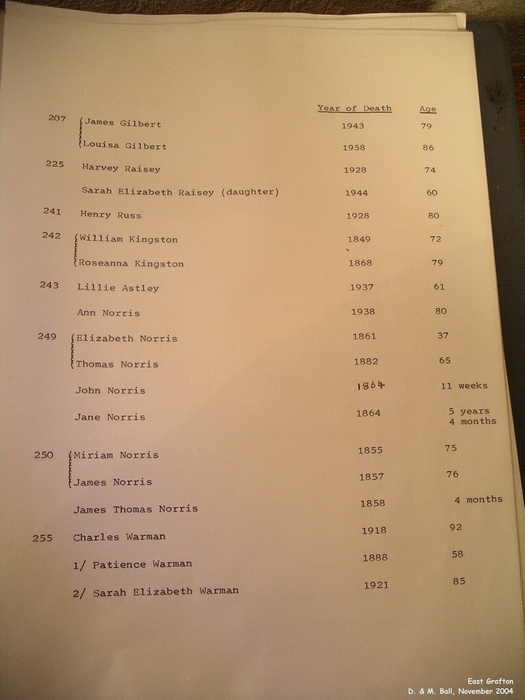 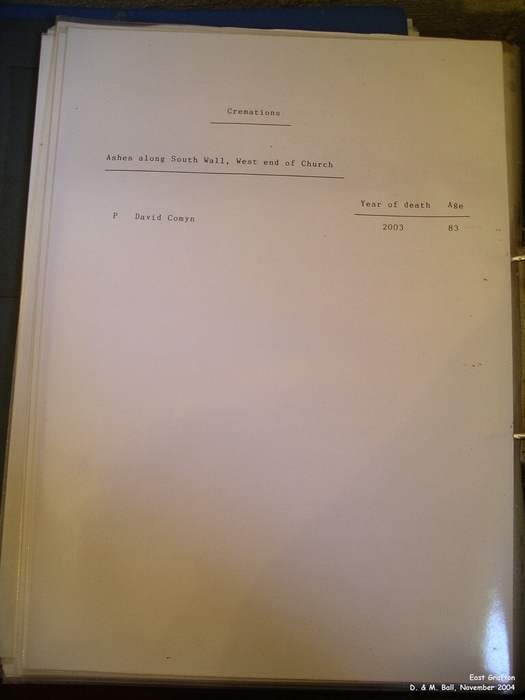 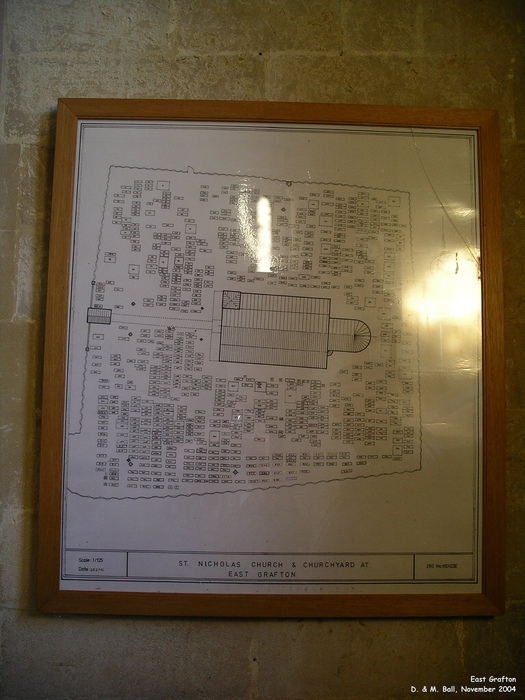 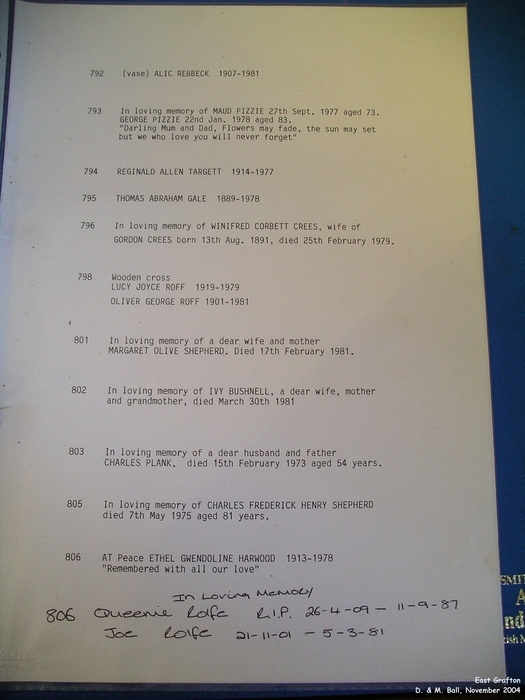 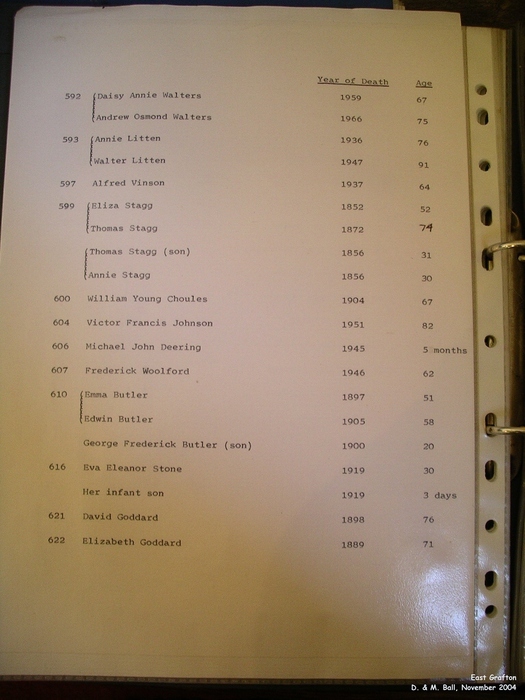 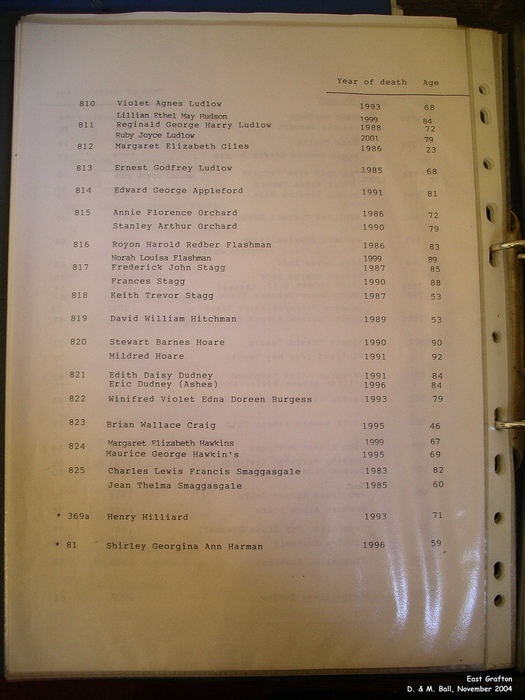 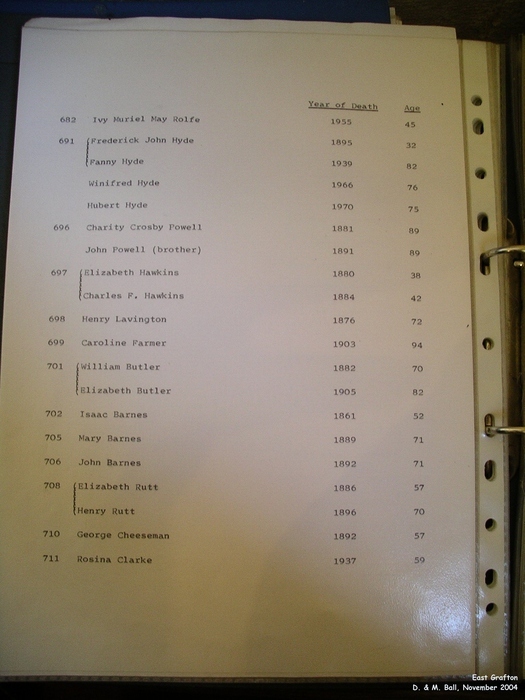 There is a folder inside the church containing lists of churchyard burials. 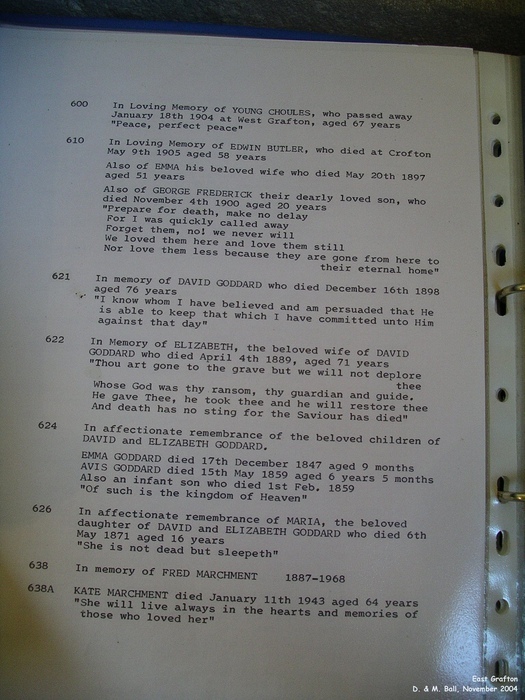 We photographed each page - 54 in total - and these photographs are below this text. 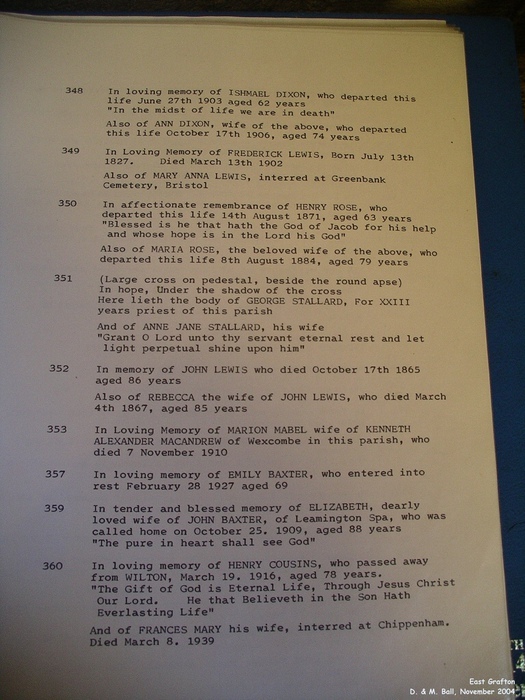 The lists are in plot number order. 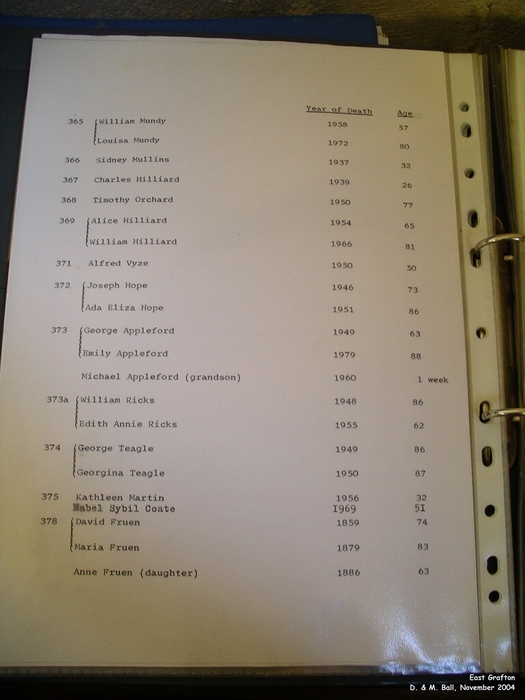 For ease, the photograph number and page number correspond - ie Photo 00001 is page 1. 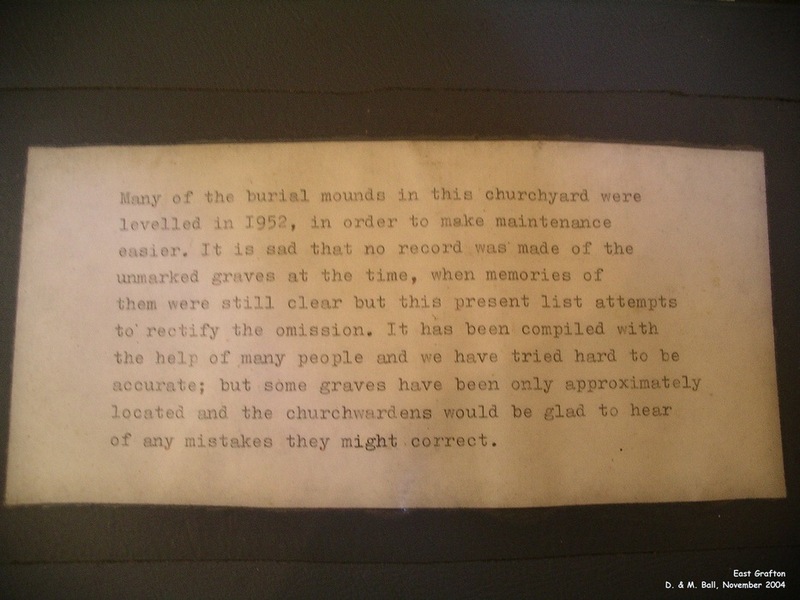 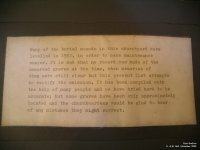 We have noticed a few inaccuracies between different sections of the file, and sometimes these differ again to the actual spelling on a gravestone. 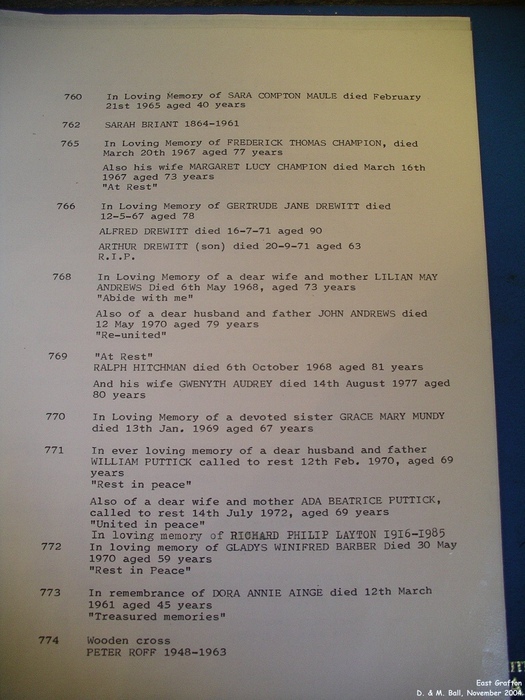 As a general rule we have taken the spelling on the gravestone to be the correct version. 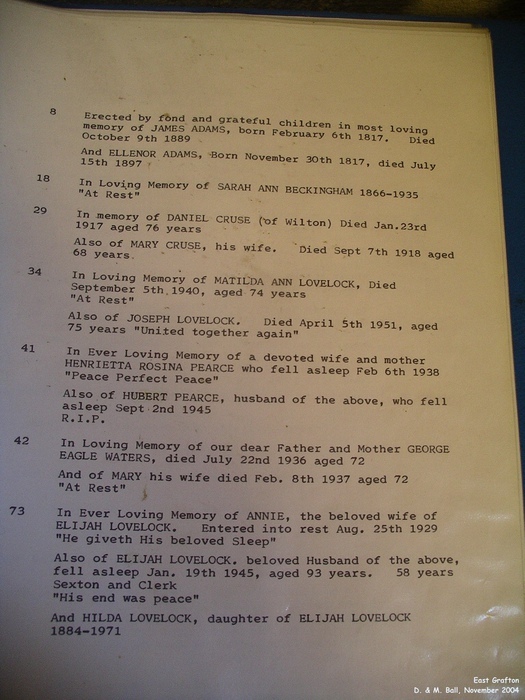 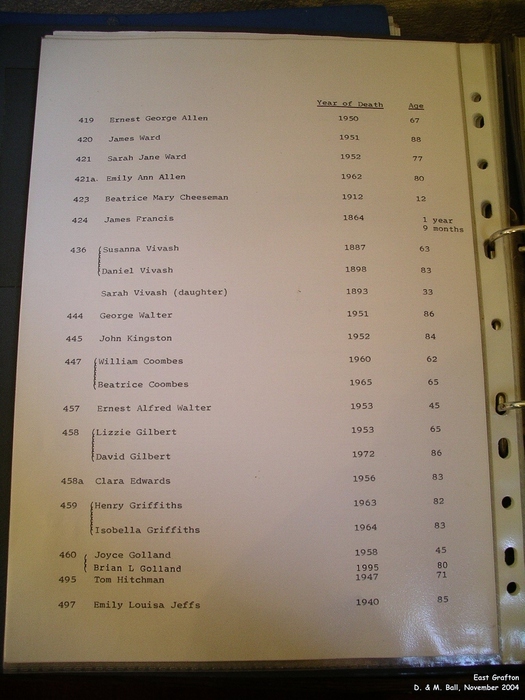 We typed hundreds of names and have bound to have made errors, plus it is sometimes difficult to read the print so we may have interpreted some incorrectly. 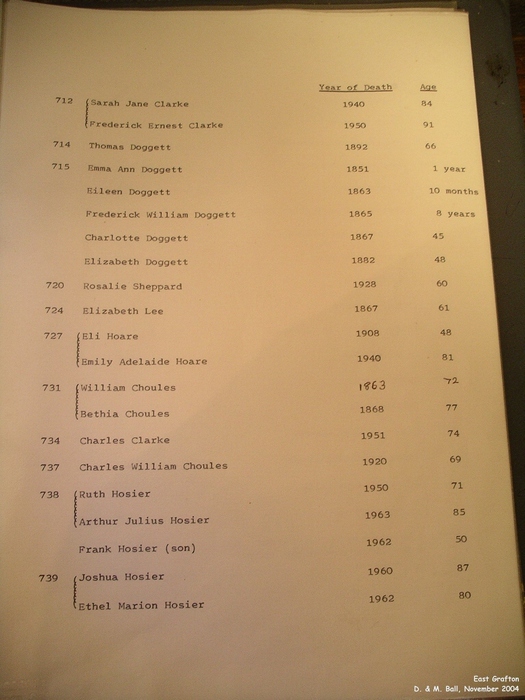 If you notice an error, please tell us. 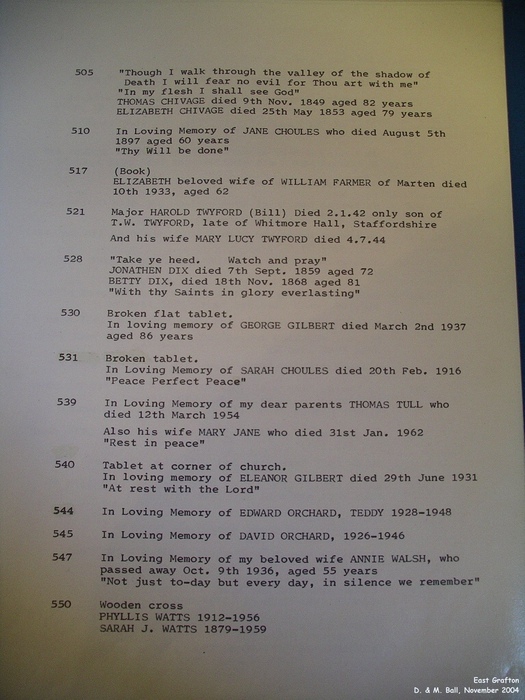 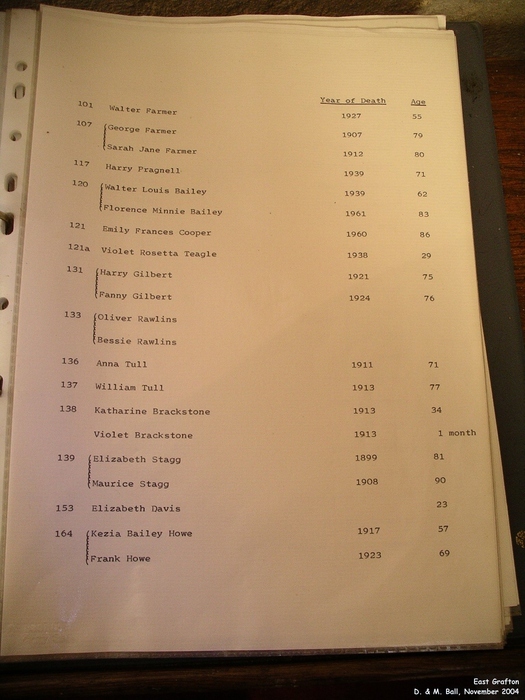 We have used the information in this list to produce a transcription of it in alphabetical order - use the link above to see this.